Our Shave Kit is a must-have for aviation enthusiasts. Made from soft goatskin leather reminiscent of a vintage WWII bomber jacket, Pilot Wings are debossed onto a leather patch and sewn onto the front. 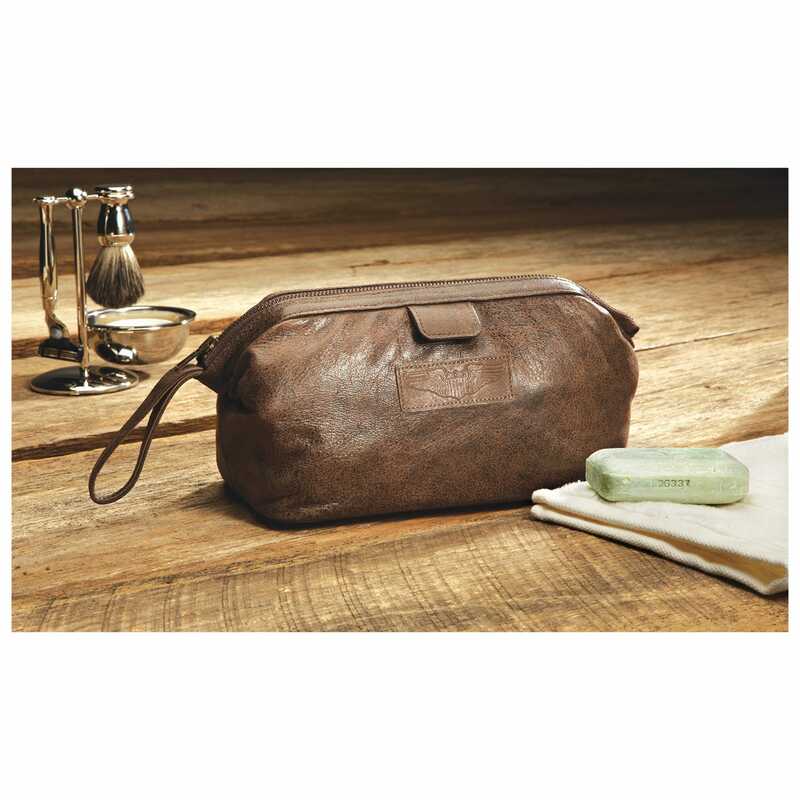 Equipped with a heavy-duty YKK zipper, leather handle and 100% nylon lining, this Shave Kit is made to last. Opens wider than most Kits at about 12” when unzipped so you can easily transport shaving cream, toothbrush, toothpaste, antiperspirant, comb, and brush. 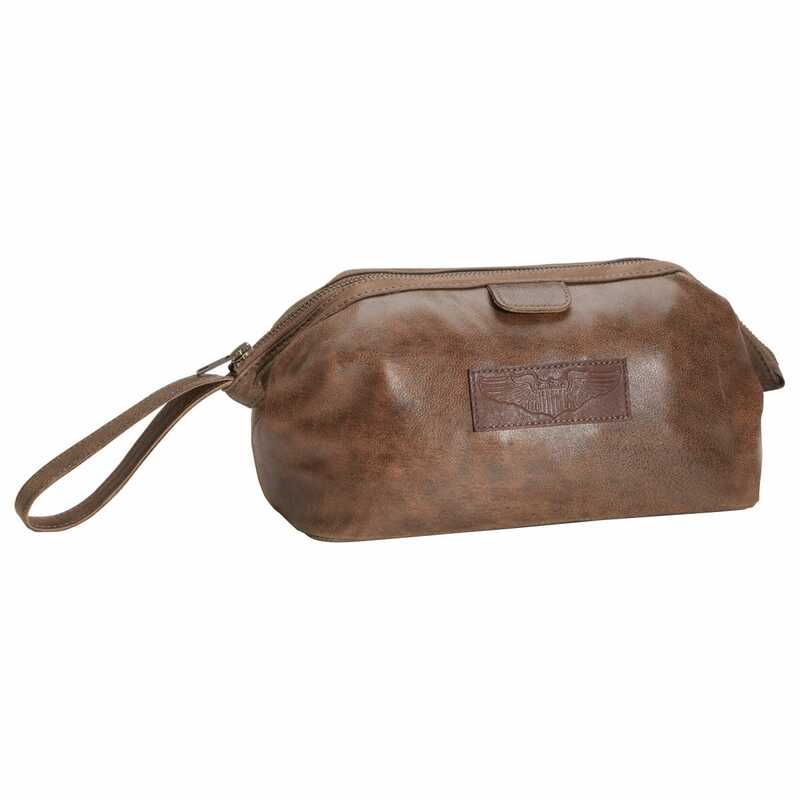 Also, features a convenient inside pocket for smaller items. Measures about 12”l x 4”h x 6”w.